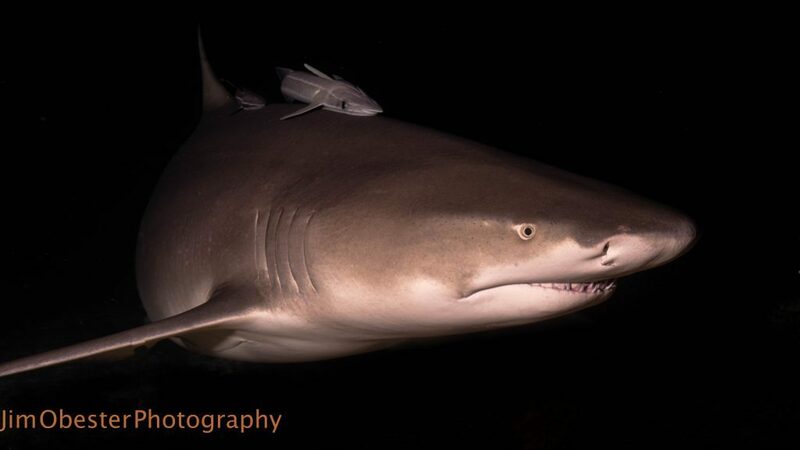 Nice and close night shot of a big Lemon Shark and Remora. Night shark diving off the Bahamas with Jim Abernethy's SCUBA Adventures. This is a 9×16 size picture, the print options on the select size drop down menu are not for this size.